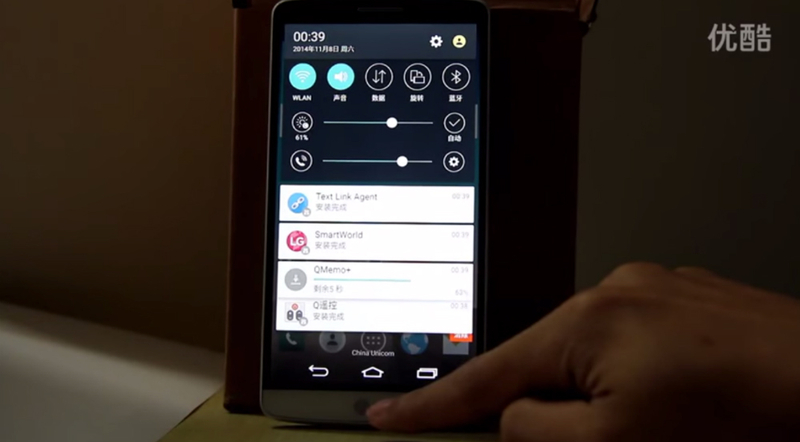 With LG announcing that the Lollipop update will hit G3 devices over in Poland this week, a video showing off just what we can expect once Android 5.0 hits the G3 has been leaked online. As you will see, the phone appears to be somewhere in Asia, given the language being used on the device, but you can expect the overall look to be about the same. While LG looks to have taken on a few of Google’s design tweaks in Lollipop, the system looks pretty much like we have currently with Kit Kat on the G3. Except for the pulldown, which has been changed over to the Lollipop look, LG’s system toggles and button presses appear to be the same as they are now, along with the settings menu. Additionally, application animations have been revamped, but until we have our own hands on the update, this video might have to suffice. LG USA has given no official date when Americans can look for the update, but they did mention it would be sometime before the end of 2014.